So there’s this tall fellow with a bit of a chip on his shoulder. He’s a student at Balamb Garden — a training school of sorts for young mercenaries in a world oft shaken by civil wars — and he’s dedicated to joining the Garden’s elite fighting force: SeeD. He wears a silly coat to match his silly hair, and his weapon of choice is a gunblade, which is exactly what it sounds like. A training session with a rival student gone wrong left him with a nasty facial scar that marks the boy Handsome Yet Dangerous. He falls in love with a beautiful girl named Rinoa and, with the help of his quirky friends, offers to help with the lady’s resistance movement. This boy travels all over the world becoming stronger, making powerful friends and enemies along the way. He’s your enemy, hero, and he must be stopped. The above description fits both the main character and one of the primary villains in Final Fantasy VIII, of course; Squall Leonhart and Seifer Almasy, respectively. Villain might be overstating Seifer’s role, however, as he acts as more of an unfortunate antagonist much of the time. It would be easy to dismiss Seifer as yet another JRPG rival, a simple mirror to hold up to the protagonist and an easy way to add some home-grown emotion to a large scale battle against evil. But Seifer is more than that; he’s the main character, stymied. He is the would-be hero, but for a tragic collection of external and self-inflicted circumstances. From the start of the game, we’re encouraged to develop a mild distaste for Seifer. The opening cinematic shows a battle between the two SeeD cadets, in which Seifer cuts Squall’s face open. Squall retaliates, which gives them delightful mirrored scarring, and it becomes apparent that this was just practice between two lunatics with boundary issues. This scene serves to set Seifer up immediately as a bad guy—although, at this point, not THE bad guy—and the difficult bug bite which Squall just can’t help scratching. 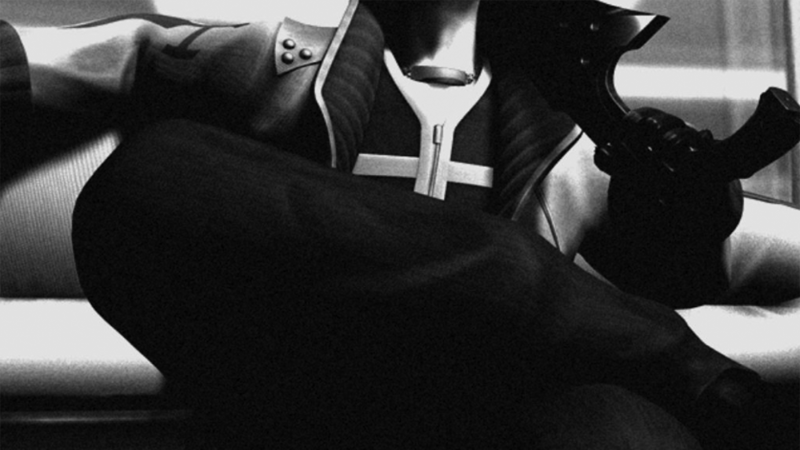 His smug smile, the way he always seems to be a step ahead and his abhorrent turn as the head of the Balamb Garden Disciplinary Committee are all factors in your immediate dislike of the man. But it’s all about perspective, and, all things considered, Seifer’s bump from party leader to party pooper is mostly Squall’s fault. Right from the word go, Squall is more of a thorn in Seifer’s side than the reverse. Their SeeD exam in Dollet ultimately succeeds because Seifer decides their mission to secure the square isn’t as important as finding out why Galbadian soldiers are so insistent on heading up a nearby mountain. While the act of defiance is presented as a reckless response to boredom, it doesn’t change the fact that it’s because of Seifer the Garden so successfully repels the invaders and learns of their nefarious plot to reactivate a powerful communications tower — a piece of information vital to future events. On their return, Squall and Zell are deemed to have passed the exam for their impressive ability to not die at the claws of an invincible spider robot; meanwhile, Seifer is reprimanded, punished and told he failed the exam thanks to his insubordination. It isn’t limited to professional hindrance. At the graduation event, players meet Rinoa, a pretty young thing who is looking for help from the school principal, Cid. She’s also dating Seifer. Since Seifer isn’t a SeeD, Squall and friends are sent to help Rinoa’s resistance movement instead, and so begins that messy journey from hatred and indifference to the truest of true love. Nobody ever apologises to Seifer for this whole girlfriend-stealing business, either, because he’s evil by the time it matters, and we don’t apologise to evil people. Seifer’s clear devotion to Rinoa is obvious from his actions. No matter how irresponsible someone is, they don’t hold the president of an entire country hostage on an international television broadcast just for kicks. His extreme solution to Timber’s independence solution is a result of the Garden authorities tying his hands, and let’s remember that our hero was involved in a plot just as crazy and illegal; it just had more steps. On top of that, Seifer was acting out of genuine, selfless love and a desire to—at least in his own mind—do the right thing. His reward for such actions is a swift execution. Squall’s reaction to the death of his rival-slash-soulmate, and the subsequent emotional breakdown of Rinoa is to shout at everyone like a spoiled child after a lengthy period of selfish internal monologue. 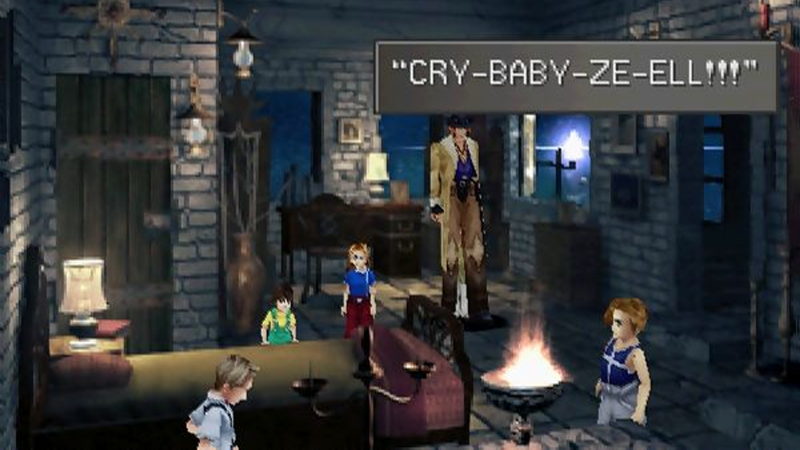 Squall is the poster child for stunted emotional growth in Final Fantasy 8, a theme which touches all the younger characters in one way or another; more on that in a moment. Seifer wasn’t actually killed, of course, as he reappears shortly afterwards on a neon-lit parade float as the second-in-command of Sorceress Edea, suggesting that reports of his death—initially assumed to be a way to placate the Galbadians—were an elaborate farce set up for someone’s amusement. This moment, where Seifer becomes the enemy, is a junction point for quite a few fascinating facts about the character. Seifer is now the Sorceress’ Knight, a term which seems rather goofy and idealistic given the seriousness of the situation. It ties into comments made by the character earlier in the game about his “romantic dream”. We’re talking about the more broad use of “romantic” here—the expression of love towards an idea rather than the pursuit of a person—and the subtext also suits the slightly derogatory second definition: “of, characterized by, or suggestive of an idealized view of reality.” The romantic dream Seifer alludes to before his betrayal turns out to be the rather specific desire to become a Sorceress’ Knight. Not only is it specific, it’s rather strange given that in modern times sorceresses are hated and feared. So why would a boy growing up in this social climate idealise evil witches? A lot of it has to do with a small detail that the game merely implies: Seifer is a huge fan of the old stories about the sorceress who successfully defended her country against invasion many, many years ago. Searching the Balamb Garden library records shows he has checked out the none-too-subtle book The Sorceress’ Knight, but a more compelling fact was confirmed in the Final Fantasy VIII Ultimania, a book only ever published in Japan which includes plenty of information on the world and events of the game. In its pages you can find confirmation that Seifer was also a huge fan of the film version of The Sorceress’ Knight, and presumably modelled his aspirations and demeanour around its contents. Seifer even bases his gunblade fighting stance on the knight from the film; we know this because the star of said motion picture was none other than Laguna Loire, and the player participates in the filming during a very odd time travel segment. Laguna isn’t a swordsman, of course, and his stance in the film is utter rubbish, which is yet another sad footnote in the story of Seifer and his blockaded attempts to be the hero. Mercifully, we never get to see the awkward moment when Seifer realises his cinematic idol is actually Squall’s father. So it would seem that Seifer is simply the product of his own reckless ambition, and a tantrum-like disregard for authority. But a lack of control and choice over one’s own destiny is a strong theme across every part of FFVIII—cities are subjugated by powerful nations, children are recruited into armies, people’s minds are controlled by witches from the future—and Seifer’s destiny is no less directed than anyone else’s. In fact, the very people charged with protecting him as a child are the worst influences in his life. All the main playable characters in the game, along with Seifer, grew up in the same orphanage. It’s not everyone’s favourite twist, and it comes across far neater than it should given they began working together seemingly at random, but it does explain why Seifer in particular seems drawn to the group. That he is the only other character included in this backstory suggests we give its meaning more than a little thought with regards to his character. Around the time the memory sequence occurs, the characters write off Seifer’s unusual hatred of Squall as a product of jealousy. Squall monopolised the attention of another character, Ellone, on top of generally being the emotional wasteland we all know and love. But we learn at the end of the game that Squall’s involuntary time-travelling after defeating Ultimecia was the catalyst for creating SeeD. His appearance at the orphanage on that day, as a fully-grown man, crystallises his destiny; from that point on, Cid and Edea treat him as the eventual savior of the universe. This explains why he makes it into SeeD and is promoted to such a high level so quickly, it explains why he is sent on particular missions, and it answers any questions players might have had about why everyone thinks Squall is so damn special. Now imagine you are a child in the same orphanage, a child without a home or a family thanks to the war. Imagine you have something to prove, and reading about heroic knights and witches makes you feel a little less powerless. Imagine another child, very similar to you, is given preferential treatment. He gets more attention from your surrogate parents, and you have no idea why. You act up, and they still focus on him. When you’re all encouraged to join SeeD—mostly him, though—you see a chance to finally prove yourself. You work incredibly hard and fight to become the best, but that same person is still there, being given all the advantages. He graduates while you get punished; despite a total lack of social skills, he makes friends easily while you’re seen as an annoyance; when your well-meaning actions lead to everyone believing you’re dead, he moves in on your girlfriend. Seifer is the one who works, and Squall is the one who wins. Earlier I said Seifer’s troubles were mostly Squall’s fault, but that’s not the whole story. Just as our perception of Seifer as an obnoxious fool is simply a mask for the twisting of his genuine intentions, so too is his distaste for Squall actually a distaste for what Cid and Edea did to both men. Other Final Fantasy games have had characters that either should have been the hero (Basch from FFXII, before focus testing decided he was too old) or are more heroic (Auron from FFX, who only steps aside because he’s simply too well adjusted to get wrapped up in the melodrama of the plot), but FFVIII manages to set up a character that is certainly the hero, while setting him up to consistently make choices that contradict that. He isn’t a mirror for Squall, he’s the guy who has to sleep outside because Squall needed a bed. To his credit, Seifer remains an upbeat and forward-looking character to the very end. He never claims that the world is out to get him. It is, of course.